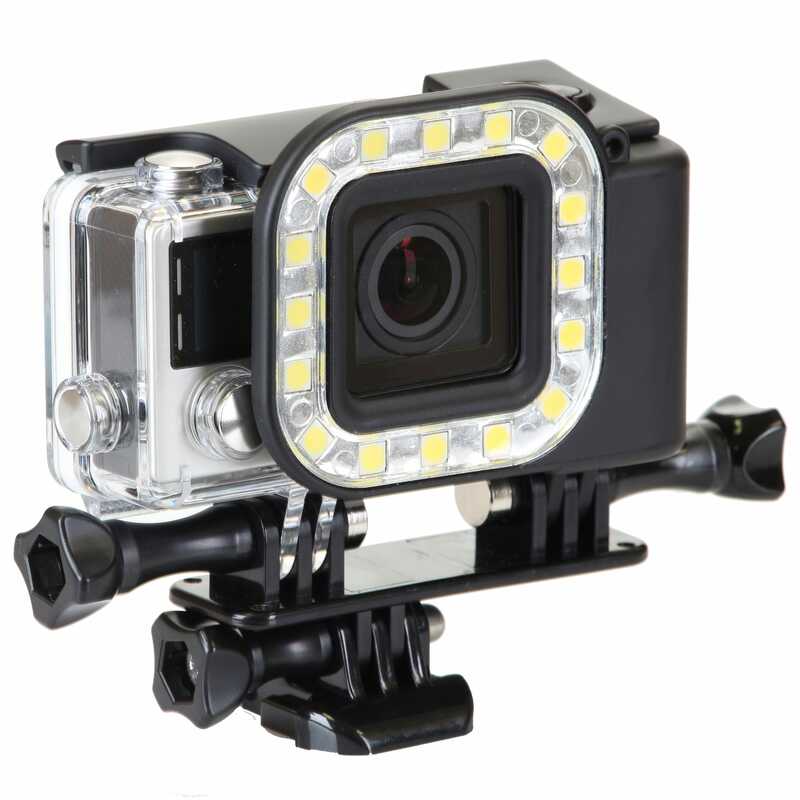 The Sunpak LED 16 Waterproof GoPro Action Light is designed for the GoPro HERO3+ and HERO4 cameras. The LED 16 has 16 high powered LED’s that provide nearly 300 lumens of shadow less illumination in darkness or low light situations for stellar color and contrast. The LED 16 comes with a waterproof housing with light controls for High, Low or SOS illumination. It comes with a rechargeable 1100mAh lithium battery which fully charges in just 3 hours and produces outputs up to 3 hours on a full charge (High setting is 1.5 hours; Medium is 2.5 hours and SOS is 3 hours). The LED 16 also comes with a dual mount bracket for infinite adjustability.